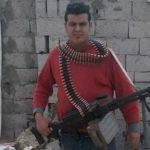 First he was run over by a US tank, then an invading Islamic State militia forced him to abandon his monastery in northern Iraq. Raeed, a monk from Qaraqosh – Iraq’s largest Christian town – had to flee and set up a temporary monastery in a displacement camp in Erbil. But his inspiration to help those less fortunate had been formed earlier, during the Iraq Allied invasion of 2003. In 2001, Raeed had felt spiritually called to become a monk; he joined four others in a small monastery. But his life was soon shaken up. [During the occupation of Iraq by a US-led coalition] Raeed, on his way to Baghdad, was talking with a fellow monk – in a taxi shared with others. Out of nowhere came a crash and the sound of crunching metal. The taxi had collided with a US tank, which had driven over part of the car. The accident killed his friend and left Raeed in a coma. 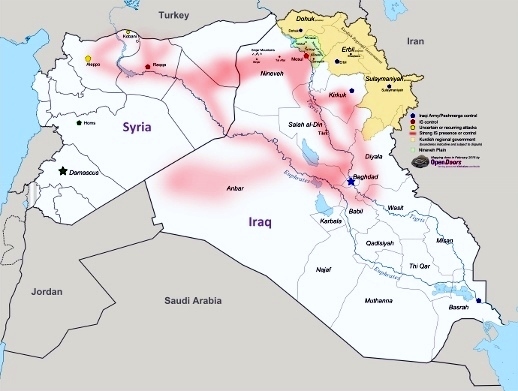 By Feb 2015 Islamic State had occupied towns in the Nineveh Plain, forcing Christians to flee east to Erbil. He woke from the coma to realise he was the only survivor from the car. This challenged his faith like nothing before. He could not understand why, after choosing to commit his life to serve God, such a thing could happen. “The sound of honking car horns disturbed the silence of our prayer room. Beyond the street noise, there was the sound of explosions.” Looking out of the window, he saw cars lining up to leave the city. What he feared for months had come true: IS was approaching. Fearing for his safety, Raeed grabbed his things and prepared to leave. With the other monks he joined the slow-moving traffic as people fled in panic. The drive to Erbil, normally just two hours by car, took all night. Over the next few months Erbil became the safe haven for thousands of others fleeing IS, including many Christians fearful for their lives. 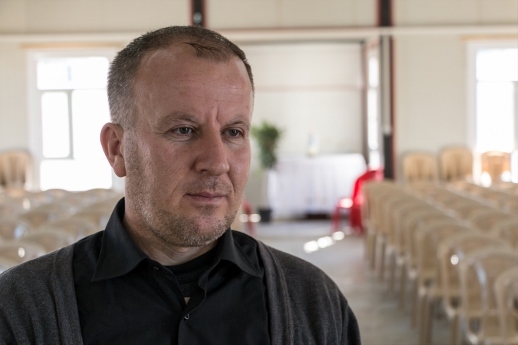 Raeed found a purpose in this chaos, remembering his calling to “Follow Jesus no matter what”: he helped set up a monastery in the middle of a refugee camp for Christians, on the outskirts of Erbil. 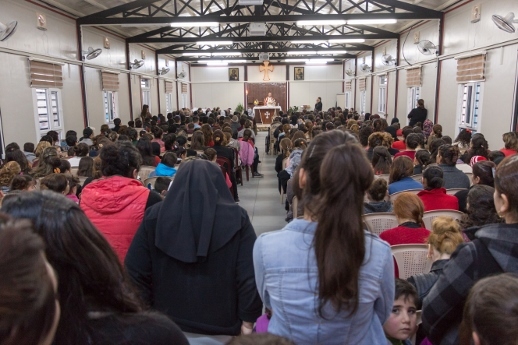 The church he serves in – a portacabin in the camp – is now so busy that people have to stand in the doorway during a service. He is just as you imagine a monk: his gestures are calm and silence seems to be his natural habit. His is a welcome face among people whose lives have been turned upside down and who face many challenges ahead.